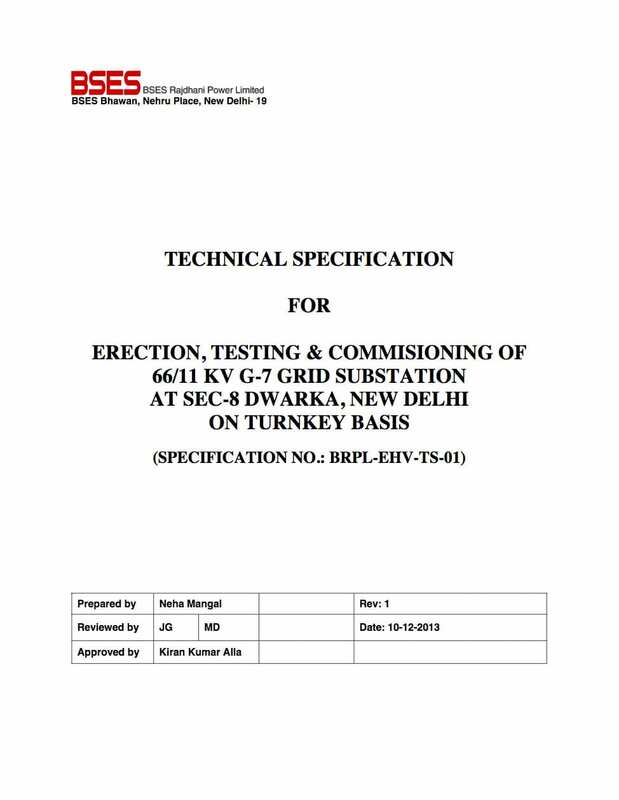 This specification is intended to cover complete design, engineering, assembling, testing at manufacturer’s works, substation building, complete erection, testing, commissioning and putting into successful commercial operation of 66/11 KV substation. Supply and Transportation of all equipment and accessories, steel structures, all structural work, civil and architectural work, supply of all labour, supervision, tools, implements and supplies as required are included in requested specification as well. Two (02) sets of Bus PT. The substation shall have control room building with 11KV Indoor Switchgear, 66KV Control and Relay Panel, Battery Bank & Battery Charger, ACDB, DCDB etc. The indicative Layout Plan and Single Line Diagram of the substation is enclosed herewith. Provision (Civil foundation for equipment structures, Power Transformer Foundation, Cable trenches, 66kV C&R panel, and 11kV Switchgear panels etc.) 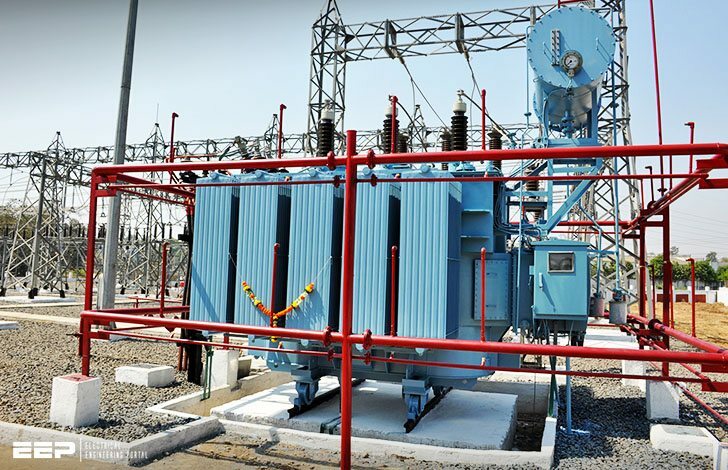 for 3rd 25 MVA Power Transformer shall be kept with turnkey execution of grid substation, so that the Transformer bay is ready in all respect for installation of 3rd Power Transformer in future. The 11KV Switchgear shall be installed inside the substation building. The switchgears shall be equipped with Vacuum circuit breaker. The metering and protection relays shall be part of switchgear only. Control voltage shall be 220 V DC. The Outdoor Power transformer shall be 20/25MVA, ONAN/ONAF Rating with OLTC. The Control supply shall be 220V DC. The Ni-Cd Battery bank shall be installed in separate room with proper ventilation system as per safety requirement. The battery charger shall be thyristor controlled installed inside control room building ad should be compatible with SCADA System. Two sets of Capacitor bank shall be installed outdoor. Each set shall be 7.2 MVAR rated at 11KV comprising two sub banks of 3.6 MVAR each. Each sub bank shall be provided with motorized 11KV Isolator. It is intended to provide State-of-Art substation control, protection and metering system and shall be integrated with SCADA system. The protection, metering & control system shall be as per SLD and specification of 66KV CRP. The microprocessor based Transformer monitoring relay. All the relays/IED communications shall be on IEC 61850/Modbus protocol.